Red alloy wire cannot be directly attached to cover controller placed on pipe. Cover can only be triggered by connected block. GT version 6.10.07. That is weird. it should work. As a simple workaround, use a vanilla Redstone Repeater and place it AS A COVER on the Red Alloy Wire pointing downwards (or into whatever side you put the controller on). That will connect them. 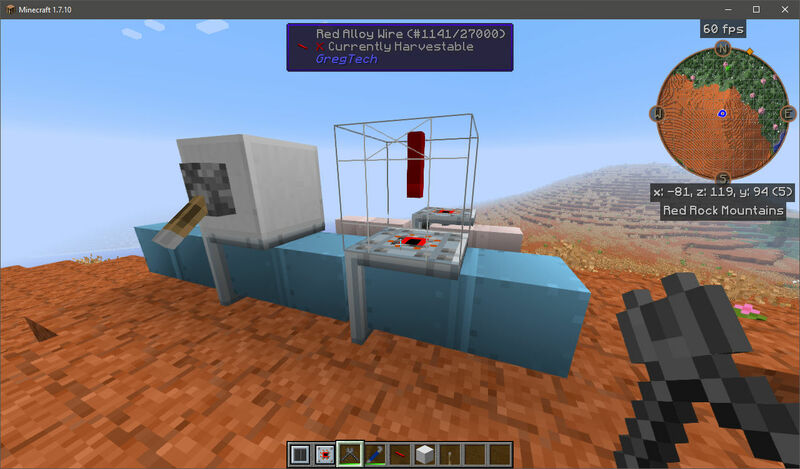 The same can be done with a Redstone Torch instead of a Repeater too, though that would invert the signal. My guess as to why the wire wont connect is, that both the pipe and the wire use the same connection API, and they are labeled as two different things that therefore shouldn’t connect. Will see how I am gonna fix that. Cover works fine with machines, only pipes affected afaik. Didn’t know about repeaters and torches as a covers. Thanks for input. Another workaround I mentioned above is to place any solid block next to cover and connect wire to it. Fixed it for the next Version, marked the more detailed Post as Solution.